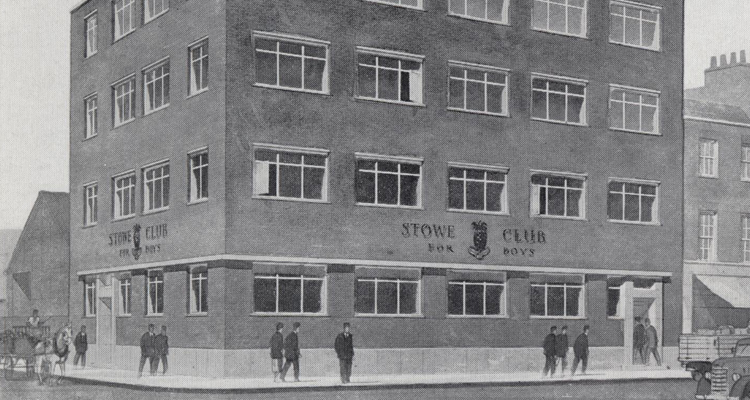 From 1925 Stowe School, like others, aimed to establish a working boys’ club in London. It needed to be near a railway station, like Marylebone. The Lisson Grove area in Marylebone was recommended and supported by the local MP, Sir Douglas Hogg, later Lord Hailsham, along with the local mayor. It took two years to find a suitable site. In May 1927, the Portland Estate offered the former Pineapple Public House at 62 Carlisle Street for 14 years at £800 down and £60 a year. 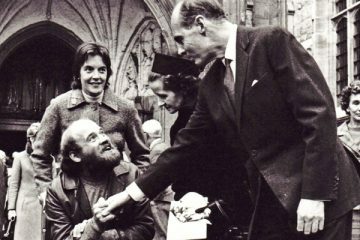 The building needed central heating, bathrooms for residents and a changing room in the basement, along with a new chapel, at a cost of £650. Staff and parents of pupils at Stowe, along with local residents, generously contributed nearly £2,000. At first, club workers were volunteers. 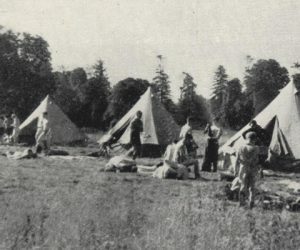 The first warden took up residence in November 1928 and a few evenings later Humphrey Playford, Housemaster of Bruce, visited to help admit the first ten boys. 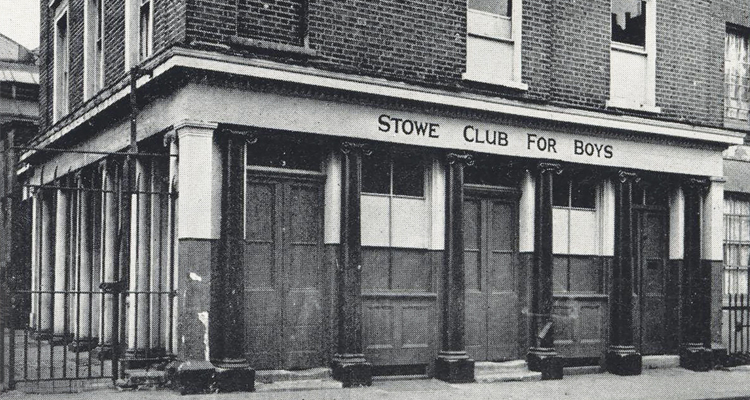 Discipline was a challenge so numbers had to be kept low, but once Stowe Club became known, “crowds of aggrieved boys besieged the door demanding admission”. Under Captain CR Lucas DSO, warden 1930-36, membership reached 150. An Old Boys’ section was formed in 1936 for those aged over 18. Members made their mark in sport, especially boxing, cricket and football. 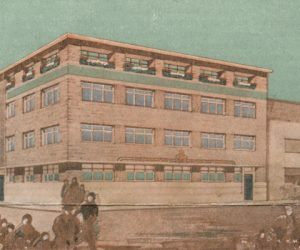 Evening classes were provided in PT, boxing, fencing, singing, shorthand, carpentry etc. London County Council supplied help in the early years, as did many Old Stoics. Members of the Club regularly visited Stowe. 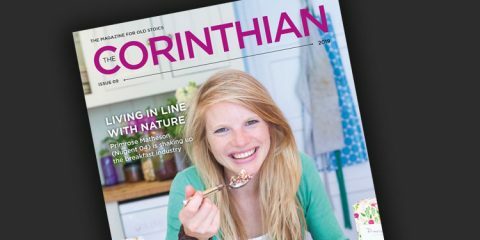 In 1929, Stoics helped build the ‘Pineapple’, a wooden hut near the Cobham Monument to cater for a dozen club visitors each weekend in term-time, with a kitchen hut added later. 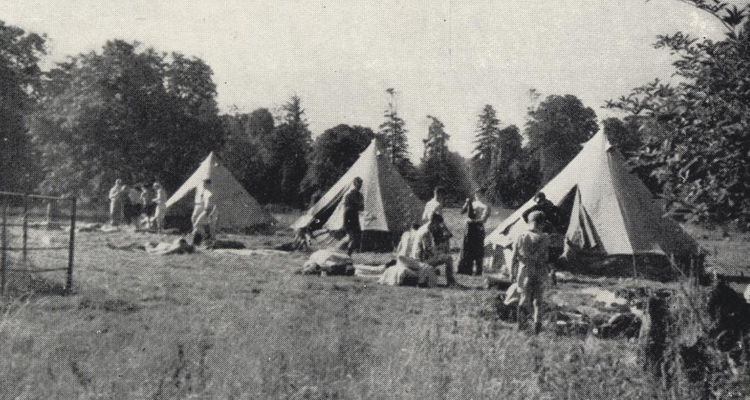 In the summer holidays fifty stayed for a week in bell tents. Small parties of Stoics visited Marylebone each week, often memorable occasions. 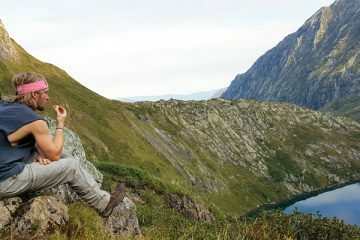 The aims of the Club were more than to keep boys off the streets. If they did “nothing but play billiards, listen to the gramophone or spend the evening in aimless ragging” they were soon replaced by others. They had self-governance, with a Club Captain corresponding to the Head of School. Club members had to pay something towards subscriptions and clothing. 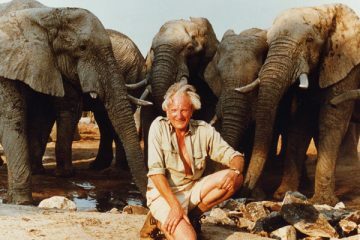 “It has been found by experience that to give away anything of this nature is bad for the recipients.” The original intention was character building, with a balanced development for “the religious and idealistic side of our nature”. In 1928, two specific aims were: “that Stoics may learn more of the lives and outlook of those less fortunate than themselves”, and “that we at Stowe may be able to hand on something of what has been vaguely called the Public School Spirit”. Roxburgh and other committee members, however, recognised that “Stowe has more to learn from Marylebone than Marylebone from Stowe”. 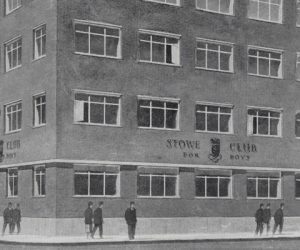 In 1939, club members helped build air-raid shelters at Stowe. The Marylebone building was destroyed in 1941 by bombing. From 1939 to 1946 the Club took over the Maida Vale Club. 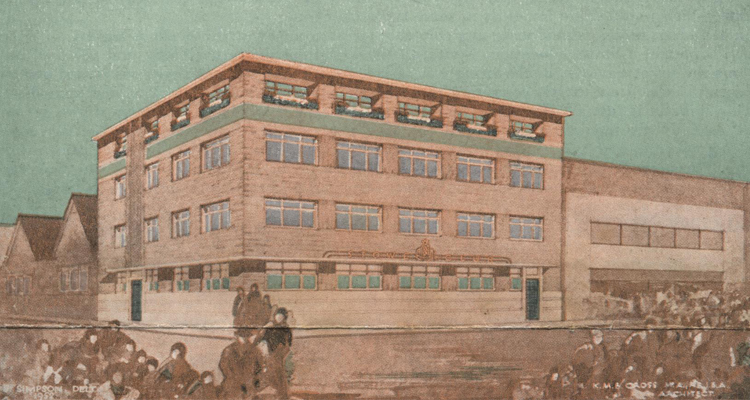 Fundraising for new premises started in 1956 with an ambitious design by Kenneth Cross. Great generosity from the Stowe community enabled a new clubhouse to be built from 1966 at 258 Harrow Road, Paddington, designed by John Smith. It was opened in January 1968 by Group Captain The Lord Cheshire of Woodhall, VC, OM, DSO, DFC (Chatham 36), who commented that the more we think of others the better we are. Club members included John Barnes, the Liverpool and England footballer. Financial challenges grew, despite the many impressive Pineapple Balls held at Stowe until 1982. Some dedicated Old Stoics negotiated a ‘dream deal’ with Westminster Council in 2005. This led to a new Stowe Centre, ‘the UK’s showcase youth centre’, built on the same site at a cost of £4m and opened in July 2006 by HRH Prince Edward. 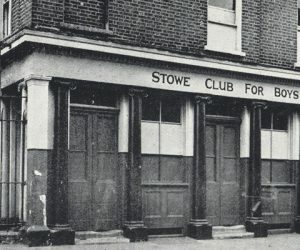 It is now run as a community centre by the Paddington Development Trust, although cuts by Westminster Council in 2017 reduced what the Stowe Youth Club can offer.